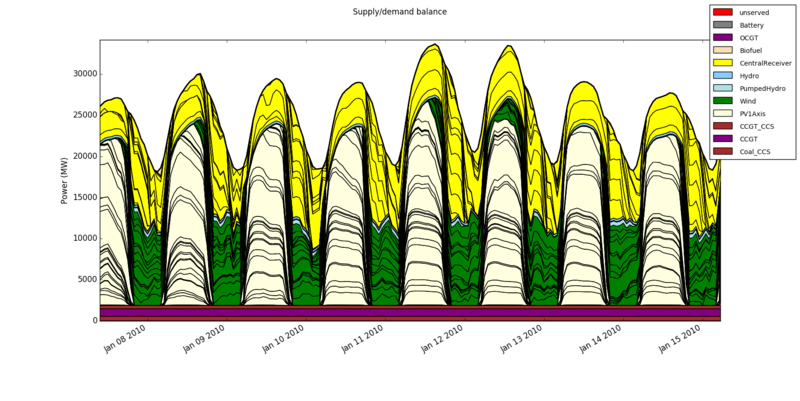 The National Electricity Market Optimiser (NEMO) is a chronological dispatch model for testing and optimising different portfolios of conventional and renewable electricity generation technologies. It was first developed by Ben Elliston in 2011 at the Centre for Energy and Environmental Markets, University of New South Wales. NEMO continues to be actively developed and improved with a growing number of users. NEMO is free software and is licensed under the GPL version 3 license. It requires no proprietary software to run, making it particularly accessible to the governments of developing countries, academic researchers and students. The model is available for others to inspect and, importantly, to validate results. Academic journals should adopt a policy of not accepting papers with results from "black box" models. The NEMO source code (written in Python) is easy to extend and modify. The source code is distributed under the GNU General Public License. Code snapshots are available as a ZIP archive or from Github. Enhancements and bug fixes are very welcome. Please report bugs in the issue tracker. Authors retain copyright over their work. Note that the package is called nemopt as nemo was unfortunately already claimed in the Python Package Index. NEMO should run on any operating system where Python 3 is available (eg, Windows, Mac OS X, Linux). NEMO utilises some add-on packages: Numpy, Pandas, Matplotlib and DEAP. For simple simulations or scripted sensitivity analyses, a laptop or desktop PC will be adequate. However, for optimisations, a cluster of compute nodes is desirable. The model is highly scalable and you can devote as many CPU cores to the model as you wish. For multiprocessing across CPU cores and hosts, the SCOOP (Scalable COncurrent Operations in Python) package is required. This can be installed using the command pip3 install scoop. Documentation will be progressively added to a user's guide in the form of an IPython notebook. The nemo-devel mailing list is where users and developers can correspond. Australian cost data are taken from the Australian Energy Technology Assessments (2012, 2013) and the Australian Power Generation Technology Report (2015). Costs for other countries may be added in time. Renewable energy trace data covering the Australian National Electricity Market territory are taken from the AEMO 100% Renewables Study. An accompanying report describes how the traces were produced. Development of NEMO has been financially supported by the Australian Renewable Energy Agency (ARENA).